Kong Dongmei has the same mole on her chin as her grandfather, former chairman Mao Zedong, but that's not all. She also has the same ambition to promote culture. The daughter of Li Min, Mao's only surviving child with second wife He Zizhen, Kong is the president of a Beijing culture corporation. "I started the enterprise with much the same goals as my grandfather," says the 38-year-old. In the early 1920s, Mao helped found the Cultural Book Society and its affiliated bookstore, in order to reform academic studies and provide intellectual comfort and stimulation for the nation by introducing new Chinese and foreign publications. Kong intends to popularize "New Red Culture", by offering a modern and diversified perspective on revolutionary history, through publishing books, filming documentaries and operating art studios. "It is a goal that requires courage and determination," she tells China Daily, at her Bauhaus-style studio in Beijing's 798 Art District. 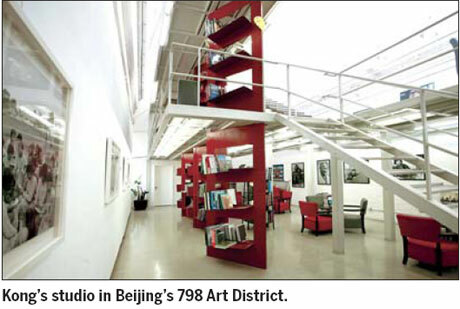 The studio is lined with shelves and display tables filled with books and souvenirs about Mao and his time. On the walls and pillars, hang portraits and mottos from the "Great Helmsman," along with posters of leaders Vladimir Lenin, Mahatma Gandhi and Che Guevara. While talking on the third floor at her studio, she is by no means reticent, but extremely cautious about her words. Her furtive glance at every passer-by signals her constant vigilance. Kong looks chic, dressed in an agnes b. coat. Although she never met Mao (she was 4 years old and living with her grandmother in Shanghai when he passed away) his affection for her is revealed by her name. "Grandfather chose the name Dongmei - dong from his own name, and mei from his favorite flower, the plum blossom," she explains. Kong spent her childhood in Shanghai with He, who had suffered a stroke and was often in hospital. As a result she spent a lot of time in the care of her nanny. "I liked singing and dancing, but everyone in the house walked and talked softly. I could only sing to myself, humming a melody, picturing the stage and audience in my mind," she recalls. She was reunited with her parents in Beijing, in 1978, and says the family of four suffered many hardships. "We lived solely on my mother's salary from the Commission on Science, Technology, and Industry for National Defense, since my father had already lost his job," Kong says. At a primary school in Beijing, Kong felt the pressure of prying eyes and people eager to judge her because of her grandfather's influence. She was admitted to what is now Beijing University of Aeronautics and Astronautics (Beihang University), in 1992, and majored in English literature. After graduating she joined the start-up company Taikang Life Insurance Corporation. In 1999 she went to the United States and earned a master's degree at the University of Pennsylvania. While she was studying abroad, there were two questions that lingered in her mind: "What is happening in China?" and "Why is it happening?" She was offered various explanations but Kong now believes that one has to go back to Mao and his pioneering generation for the answer. Her mother's memoir in 2000, My Father Mao Zedong, was a revelation and decided her eventual career path. "My mother lived with my grandfather for 15 years and wrote about her experiences and observations. Unlike her, I had to seek other ways to figure out the answers to what I didn't understand," she says. After returning from the US in 2001, Kong set about retracing her family's footsteps. 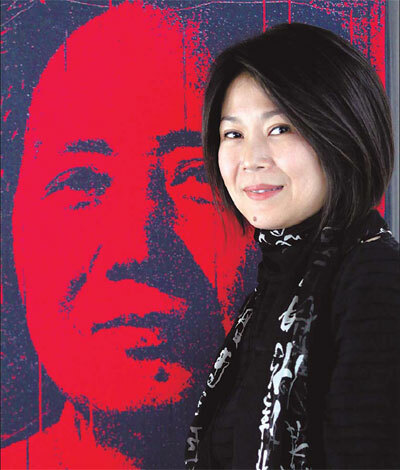 She interviewed family members and old acquaintances, dug into historical archives and published four bestsellers: Opening My Family Album: My Grandfather Mao Zedong; Grandmother's Story: Mao Zedong and He Zizhen; Those Days Changed the World - Conversations with Wang Hairong about Mao Zedong's Diplomacy; and Quotations from Chairman Mao. "It is a way of getting to know more about them, and at the same time it is a journey to my roots," she says. Kong was deeply moved by the love story between her grandparents, who were married between 1928 and 1937. Mao married Jiang Qing in 1938 and had a daughter, Li Na. 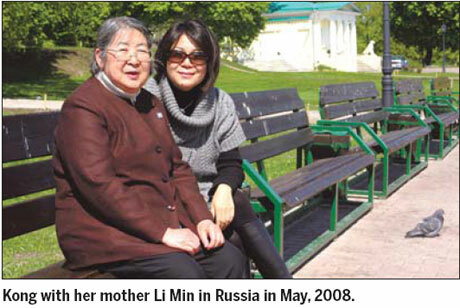 In order to treat her wartime wounds, grandmother He went to the Soviet Union and only returned to China 10 years later. It wasn't until 1959 that He once again met Mao, on Lushan Mountain. It was the first time in 22 years and the last time. She so cherished the memory that she revisited the mountain three times, in 1962, 1965 and 1975. Kong says Mao was tearful and wrote He a letter when he learned of her stroke in 1954. "Grandmother stayed up the whole night, listening to grandfather's speech delivered at the opening ceremony of the first session of the first National People's Congress, which was broadcast repeatedly. "It was the first time in 17 years that she heard his voice. The next morning she was found, sitting paralyzed in her chair, and the radio was burned out." During the years Mao and He were apart, Kong's mother became a kind of messenger and used to travel between Beijing and Shanghai with gifts from both parties. "Grandfather once sent grandmother a handkerchief he had been using. She often held it to her face, lost in reminiscence." When He was allowed to enter Beijing in 1979, she insisted on bidding Mao farewell at his memorial hall in Tian'anmen Square. "They met for an hour in Lushan, but her visit to his mausoleum was just a few minutes because of her failing health," Kong says, sighing. Kong says the family gathers each year on December 26 and September 9, the dates her grandfather was born and passed away, in order to honor his memory. Grandmother He died in 1984 and was buried at Babaoshan, along with her old comrades. Kong's father passed away in 1999. Her mother has been a member of the National Committee of the Chinese People's Political Consultative Conference since 2003.